Charles Wesley penned more than 6,500 magnificent hymns. His hymns speak clearly of the theology and belief of the early Methodist movement. In this fascinating one-man play, you'll hear the true stories of the early days of Methodism, the events that led up to his conversion, his brother John's "Aldersgate Experience," and the astonishing events that unfolded as the Wesley brothers first began to preach -- and sing -- in the fields of England. We have all felt the power of a well-told story. That's one reason why teachers, preachers and speakers who could tell a story are so fondly remembered. Their stories touched us, taught us, shaped us. Now it's our turn. We yearn to tell stories that will touch, teach and shape the hears in our family circle, classroom, congregation or public forum. 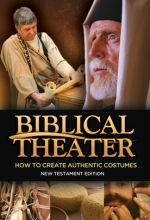 Storytelling Know-How for Teachers, Preachers and Speech-ifiers shows just how to tell such stories, how our eyes, voice, face, hands and props can be used to make our listeners' imaginations soar. 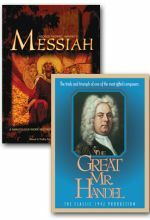 Two DVDs on the life of George Frideric Handel. 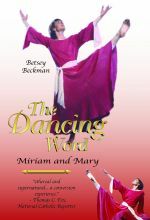 The Dancing Word offers a unique hybrid of storytelling and dance created by Betsey Beckman, one of the finest liturgical dancers in North America. 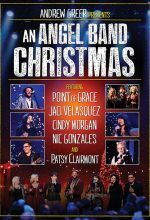 Here is the Bible - and two of its most important women -- Miriam and Mary -- made powerfully present with an expressive artistry to charge the imagination, soften the heart, and fire the soul with love. 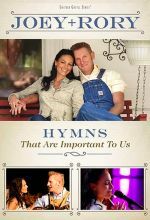 This live DVD showcases the authenticity and rich vocals of Joey+Rory, one of country music's most loved duos.